Our article editor is a very simple WYSIWYG (what you see is what you get) editor with powerful tools including image uploading. 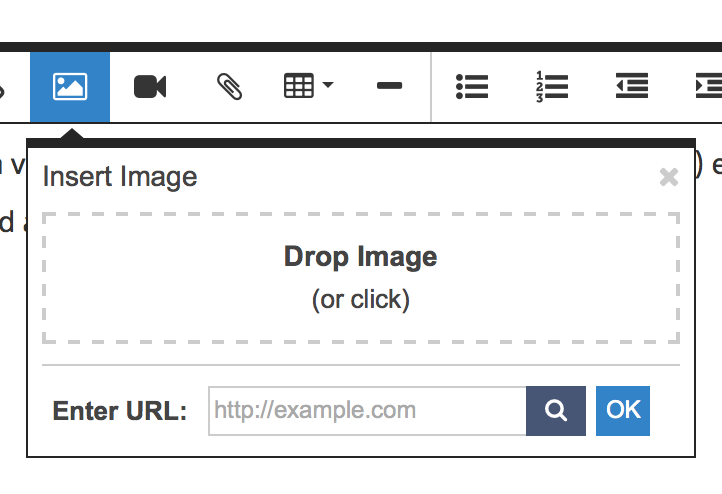 To upload and embed and image, just click the picture icon (shown below) and choose your file or drag it into the box. Then your image will immediately be embedded into your article. You can also resize your image by dragging one of it's corners.